Traveling to a foreign country can be a frightening experience under the best of circumstances. Why would someone choose to fly halfway around the world to have a hernia repaired or lap band surgery performed? According to a recent McKinsey and Company report, 40% of medical travelers go abroad for advanced technology, while 32% are looking for better healthcare. Faster medical service is what 15% of travelers seek, while only 9% have lower costs as their primary focus. The majority of those seeking healthcare through medical tourism do not have traditional health insurance or the procedure they require is excluded from their health plan. Surgery requires extensive pre and postoperative attention, as well as highly skilled practitioners. How can I be sure I am getting the best doctors and nurses to handle my medical care? By using internationally accredited hospitals through JCI (Joint Commission International), you are assured the organization meets the highest international benchmarks for quality measurement and patient safety. In Thailand, for example, there are seven JCI-accredited hospitals and many physicians are board certified in the US as well. Also, the nursing schools in Thailand require four years of training and one third of those graduating go on to earn a masters or doctorate degree. What types of procedures can be done abroad? And where? The most common services medical tourism provides are cosmetic surgery, dental, orthopedic and cardiovascular. Mexico, Thailand, Malaysia, Costa Rica, India, and Singapore are popular destinations for medical procedures as well as tourist travel, but over 44 countries offer medical procedures as a national industry. Savings vary from procedure to procedure and country to country, but patients report paying 25% to 90% less than quotes from insurers including hospital stays, surgery, anesthesiology and post-operative physical therapy if required. Additionally, some portions of the medical trip may be tax deductible. Some traditional health insurers realize the tremendous cost savings of medical tourism and offer to modify existing plans to include the option of traveling abroad for similar services. Do you know anyone who has ever had a medical procedure done in a foreign country? 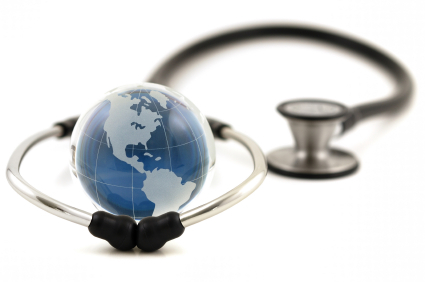 Would you ever consider having a medical procedure done abroad? I have mixed thoughts on this. I’ve heard many stories of people going to other countries for experimental treatments that the FDA wouldn’t allow. Many times with good results.